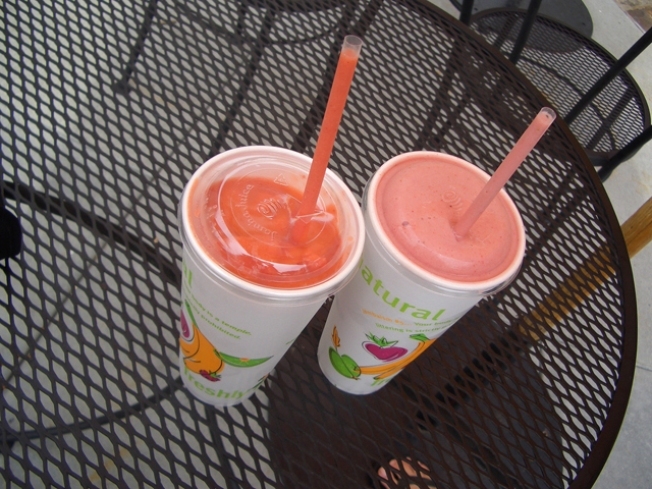 Jamba Juice will soon allow you to make your own drinks at home. Jamba Juice wants to come home with you. And to make the move possible, the healthy juicer is turning to a company that developed Burger King snack chips. The smoothie makers announced it will start selling kits for health enthusiasts to blend their favorite Jamba drinks at home. "The make-at-home smoothie is an emerging category and represents perhaps the most literal extension of the Jamba brand to date,” Susan Shields, vice president of Jamba Juice's consumer products and licensing division said in a statement. “We want to serve the healthy habits of our consumers wherever they live and shop, and as we looked to extend the brand into this new area of opportunity." To make the transition from storefront to store shelves, Jamba Juice turned to one of Burger King's fruit suppliers for direction. The Inventure Group, which supplies frozen fruit to grocery stores and restaurants across the country, will help Jamba Juice develop the at home smoothie kit, which will hit shelves in 2010. Some of their clients include the home of the Whopper, T.G.I. Fridays and Braids Pretzels. The move is part of the Emeryville, Calif. based company's attempt to expand its name through licensing deals.